Thanks to our lovely friends and families for coming down to Cubby Haus last Sunday for PIZZA and DJ Corey Hewitt. I know we keep promising regular Beer and Pizza afternoons, they are coming soon, there are always the last few “rules and regs”, then it’s all go! Our next Beer, Pizza and DJ will be on the 26th May that’s a Saturday, Come down at 4pm for a great start to your Saturday night fun! And yes our new front awning is keeping us toasty warm now that the cool autumnal air is with us, so come and join in the awesome fun of Music and Pizza and Beer of course!! 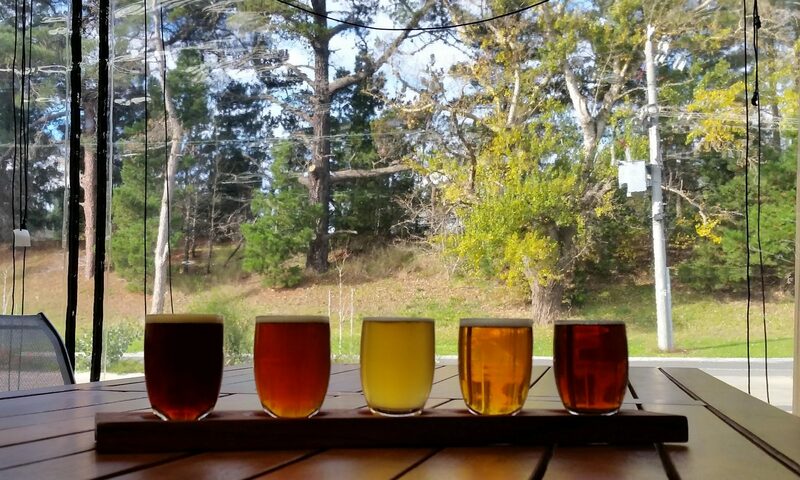 Winter is going to bring another Seasonal Beer to our ever expanding line up of Brews…. 70/- Shilling is just around the corner, like our Ballarat Winter. This is a full malt concoction with that familiar mellow caramel and light bread notes of last years 80/- & 60/- and who can resist those familiar earth and spice notes of the traditional English noble hops used in this style of beer? Something to look forward to when the thermometer plummets. Malcolm has been getting into the craft, like actual craft – decoupage to be precise. What?? Yes, amazing what skills are required when running a brewery. Mal has made some pretty cool Decals for the beer taps around Ballarat, you will see the lovely Good Witch decal at the Black Hill Hotel, and Carboni’s will have their shiny decal on the Italian Lager tap up at Eureka St restaurant. Of course all are featured here at the Brewery. New pallet racks have been put up, not very interesting?? Well let me tell you it makes a big difference to the brewery operation, we have space and organisation, key ingredients when you’re getting ready to produce Pizza on a regular basis. Won’t be long now before we can announce Cubby Haus Woodfire Pizza Nights. Pints, Pizza’s and Pinball…what more could you want??? Don’t forget Saturday 26th May for DJ Corey and Pizza. 4pm till 8pm. Have you heard about Plate Up Ballarat? Go to the Plate up Website and have a look at the amazing line-up of events. Cubby Haus Craft Beer is one of the many local products that are being showcased in this month long event. So many great things going on!! Come down on Sunday 3rd June…we have Cal Gregg and Shane Strachan playing Alternative Country and Blues. Haven’t heard banjo in a while?? As a special treat Shane just might bring it out…and there is Ken Greene performing as a special guest. Starts at 4pm, bring a picnic or order a toastie here.